Easy Candy Corn Fudge Recipe! Home / Savings Blog Posts / Recipes / Easy Dessert Recipes / Easy Candy Corn Fudge Recipe! Here is an Easy Candy Corn Fudge Recipe that you can enjoy for Fall, Halloween, or Thanksgiving! Try this Easy Candy Corn Fudge Recipe if you are having a Halloween Party or are just looking for a great Fall Dessert Recipe! We normally only eat Candy Corn one time a year, so this is a special Fall Food Recipe that your whole family can enjoy! Also, be sure to check out all of our Halloween Recipes if you are throwing a Halloween Party for your kids! Refrigerate for 15 minutes.In medium saucepan, heat orange chips and 1/2 can of sweetened condensed milk over low heat. Stir constantly until melted and smooth.Remove from heat and stir in vanilla. Press remainder of candy corn into mixture making sure to leave somve visible on the surface. In medium saucepan, heat semi sweet chips and ½ can of sweetened condensed milk over low heat. Press ½ of candy corn into mixture. In medium saucepan, heat orange chips and ½ can of sweetened condensed milk over low heat. 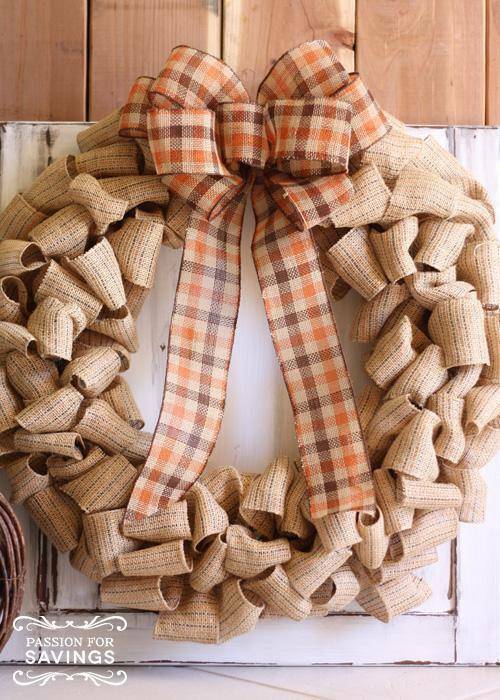 Also, be sure to check out this DIY Fall Harvest Wreath for Fall and Thanksgiving! Love being able to make Fall Decorations at home! What are some of your favorite Fall Crafts and Fall Recipes?! Copycat Panera Autumn Squash Soup Recipe!